Our organization is involved in manufacturing and supplying optimum quality Single Arch Expansion Joint. Our organization is providing a comprehensive range of Mountings for Pump. These are extensively used in various industries like power plants, steel plants, machine tool industries, oil storage installations, refineries, and textile industries. We use high-grade raw material for manufacturing our range to ensure its high durability and performance. Suyog Rubber (India) Pvt. Ltd.
We hold expertise in fabricating a variegated line of Rubber Molded Components, which is available at industry leading prices. Our professionals fabricate these rubber components in various shapes and sizes. We can also provide different types of customized rubber parts that are made as per the drawings and specifications detailed by the customers. we are into manufacturing of Precision Rubber Seals from Ahmedabad, Gujarat. 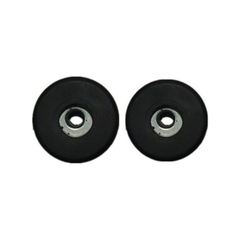 We are manufacturer and exporter of Precision Rubber Parts in India. 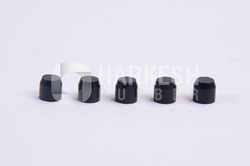 We manufacture wide range of Precision Rubber Parts.